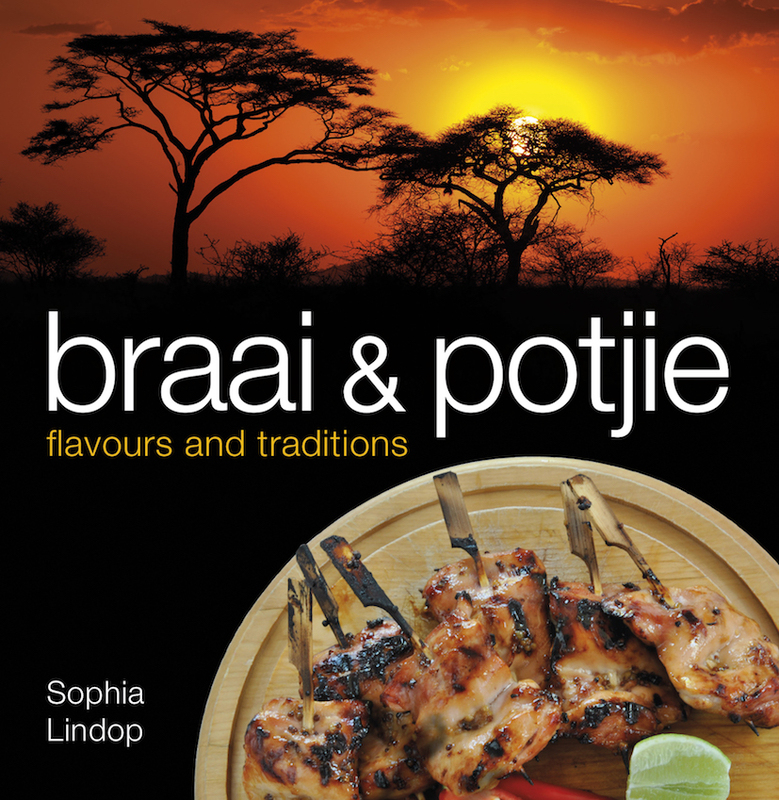 September is Heritage month and the first heritage food one thinks of is the Braai. 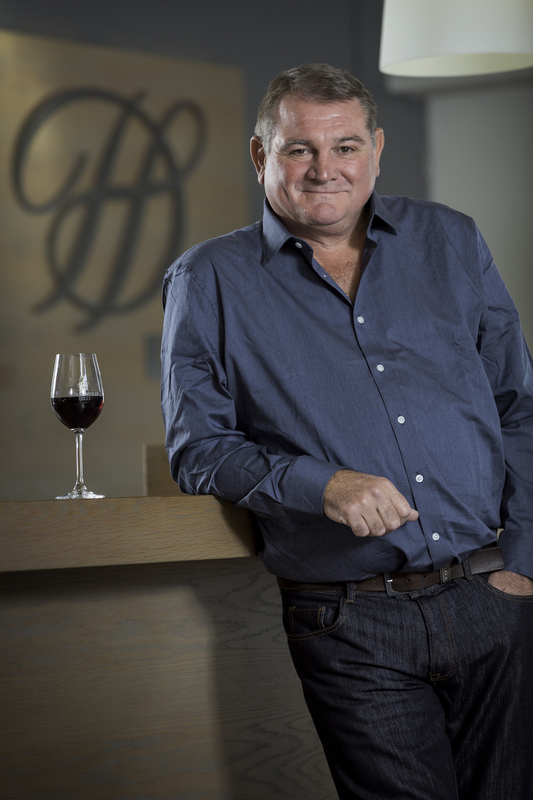 Durbanville Hills Pinotage 2015 could be regarded as a heritage wine. Created in the late 1920s by Abraham Perold, Pinotage as an authentic South African grape and appropriate that we should celebrate it. Durbanville Hills Winery has grape suppliers from nine leading vineyard owners providing it with prime produce for the cellar. The little wine ward is situated in a valley which opens out at the Cellars on a promontory overlooking Table Mountain, Table Bay and Robben Island. This makes it unique in that the breezes off the cold Benguela current blow gently up the valley ameliorating the summer heat in the vineyards. Summer mists form in the late afternoon, allowing the grapes to ripen slowly and develop full flavours. The grapes for the Durbanville Hills Pinotage 2015 are hand harvested from selected vineyards in the limited Durbanville Wine Appellation, now officially named Wine of Origin Cape Town. 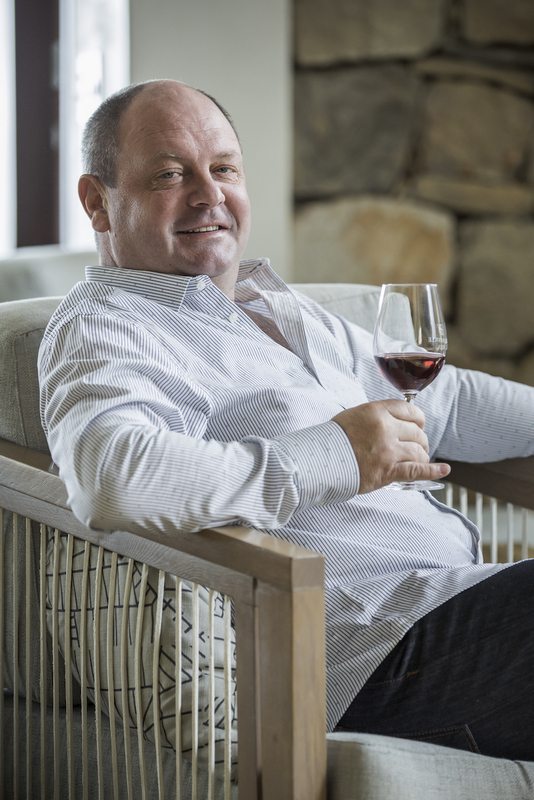 In the winery, Martin Moore, his red wine maker Wilhelm Coetzee and their team have cutting edge technology at their disposal for the entire winemaking process. Fermented on the skins until the process is almost complete when gentle pressing takes place and the wine continues its fermentation till dry. 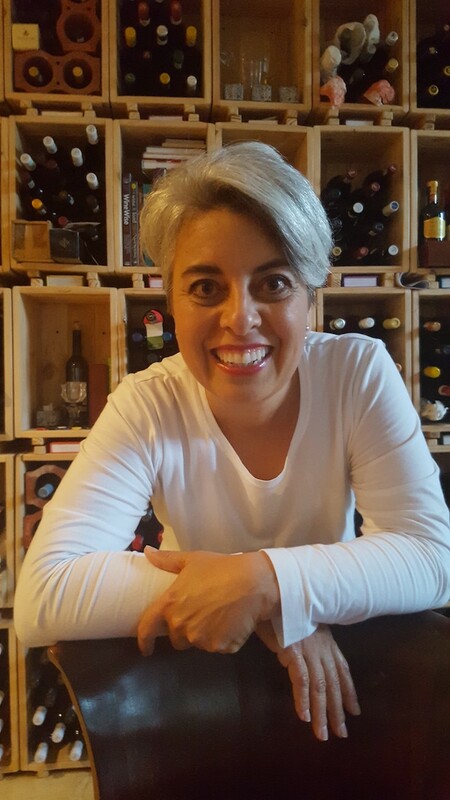 After malolactic fermentation, the wine is oak matured in French barrels, a small percentage of new barrels and the remainder is previously filled barrels and some wood alternatives – this usually means oak staves. The Durbanville Hills Pinotage 2015 is bottled in a Bordeaux shaped bottle, under a natural cork closure, with the now traditional diamond shaped label. In the glass, it is a deep dark blood plum which pales to ruby at the edges. Classical red berries from the Pinot Noir parent, cherries, sweet brown spices. Lovely mouthfeel from entry is medium bodied. The redness of the berries, cherries and plums with their concomitant gentle round acidity and cashmere dressed tannins make for a great glass. Being Heritage month, I think the braai is where we should be paying attention. Remember there are other great heritage dishes like bredies, made from tomato, beans and cabbage. And Snoeksmoor and Samp and Beans. 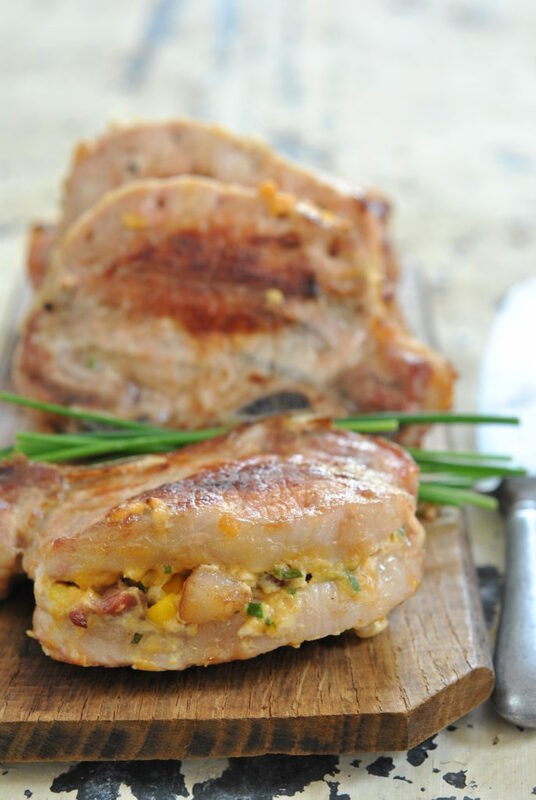 Sophia Lindop, prolific cookbook author, has given me one of the recipes from her book, Braai & Potjie Flavours, her Stuffed Pork Loin Chops, which is a great match for the Durbanville Hills Pinotage 2015. Heat a pan and fry the bacon and onion until browned – the bacon has enough fat so no extra oil is needed. Allow to cool. Mix the bacon and onion with the cheddar, corn and chives. Using a sharp knife, cut pockets into each chop, starting opposite the bone and cutting to quite close to the bone. Stuff the pockets with the filling and secure with toothpicks. Braai over a medium to hot coals, turning carefully to keep the filling inside, until they have browned on both sides. Season with salt and pepper. Remove toothpicks and serve. Chef’s note: Pork loin can be quite dry and is best served immediately.